Q: What is the ODMS? 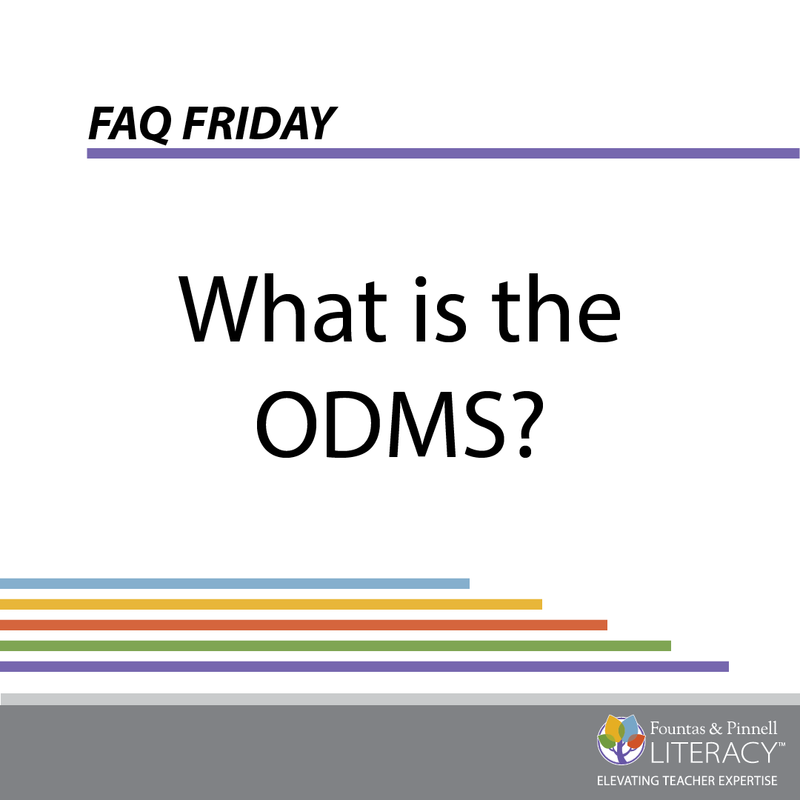 A: The ODMS, or Online Data Management System, is a web-based system for managing and sharing assessment data. It enables you to collect, analyze and report data on whole-class and individual progress, monitor progress, evaluate effectiveness of instruction, share data, and customize reports. A one-year trial is included in your purchase of Fountas & Pinnell Classroom™ Guided Reading Collection, Benchmark Assessment System, Sistema de evaluación de la lectura, or Leveled Literacy Intervention.